Stephanie A. Jarstad (BFA ’12) loves a love story. So when a BYU class assignment came to shoot a photo series, she staked out the temple grounds. It wasn’t new brides she was after. 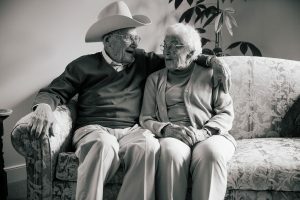 The ensuing photo series, To Grow Old with You, was exhibited in BYU’s Harold B. Lee Library in 2012—and it has grown since. Jarstad, now an Oregon-based wedding photographer, has kept the series going after graduation, and it has been featured by her local news channel, in Country Living, on Huffington Post, and on Yahoo. 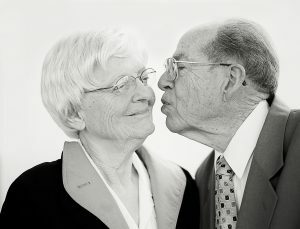 Here, find details about the project paired with her photos of couples whose relationships have stood the test of time. Chauncey and Bertha were among the first couples Jarstad photographed and, wrapped up in capturing the image, she didn’t get their story. “I just took the photo. 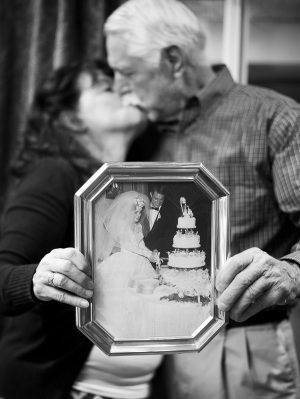 I hadn’t yet developed the idea to document the couples’ love stories,” she says. While developing the film, Jarstad wasn’t sure whether to include the picture in the series—without a caption, it felt out of place. Luckily, a technician working in the print lab recognized the couple and got her in touch with them. In 1944 Chauncey and Bertha met on a hike up Mt. Timpanogos. They were married six months later and raised 13 children. 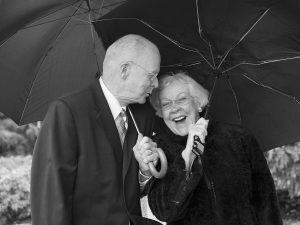 This photo is particularly precious to their family; Jarstad heard from the couple’s granddaughter that Bertha passed away. 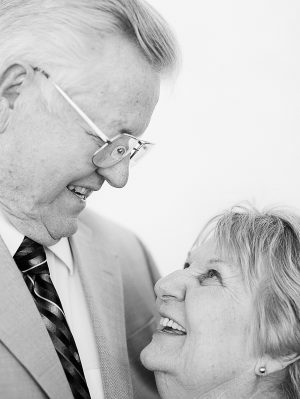 The couple didn’t take pictures often, and the granddaughter said it is the best photo of them the family has. “I love this image so much,” Jarstad says. 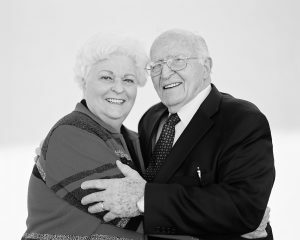 “I like the thrilling aspect of being able to connect with people on the fly,” says Jarstad, who typically photographed her subjects in front of the temple wall for a nice, studio-like backdrop, like in this shot of George and Diane. 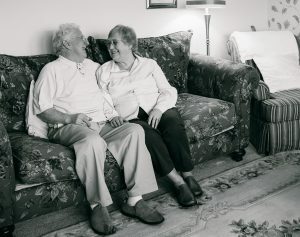 As the project came together, Jarstad says she focused on “capturing the core of a couple’s relationship and how they connect with each other.” The biggest takeaway Jarstad learned from George and Diane was that couples don’t have to be interested in all of the same things. Jarstad says she feels like her own generation, when looking for a spouse, “wants to be clones of each other,” she says. But George and Diane said that when were newlyweds, they didn’t have much in common. Raising their children and being united in the gospel is what really brought them together, Diane said. After Jarstad stopped them outside the temple, Steve and Cheryl not only consented to photos—they invited Jarstad over for dinner. “I feel like that’s only possible in Provo,” Jarstad laughs. The couple, which owns a catering business, made an elaborate meal with homemade pie for dessert, served on their fine china. Reminiscing over their courtship, Cheryl told Jarstad how she fasted and prayed when debating whether to marry Steve. The affirmative answer she received “was like lighting,” she said. The couple eloped the following Friday. President Worthen has a new priority: inspiring learning. See student examples of what he means. Two mechanical engineering students have made a self-replicating machine. Make that machines. 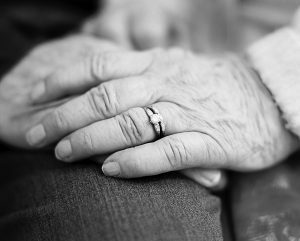 Six former BYU roommates go on a reunion trip to celebrate their 80th birthdays and laugh about their favorite memories. Hipster tripsters take on the national parks. The Academy for Creating Enterprise teaches poor RMs entrepreneurial skills.